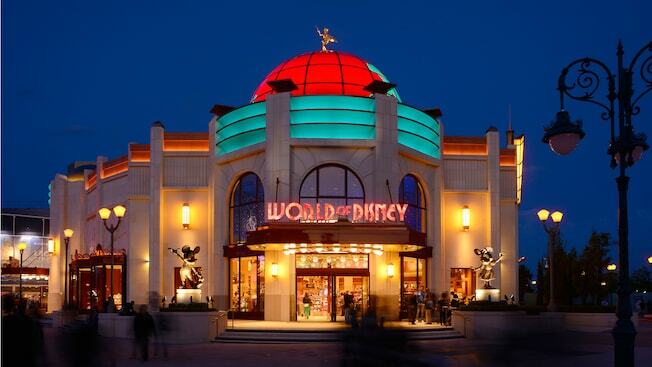 Disney Village is an entertainment district containing a variety of restaurants, entertainment venues and shops. 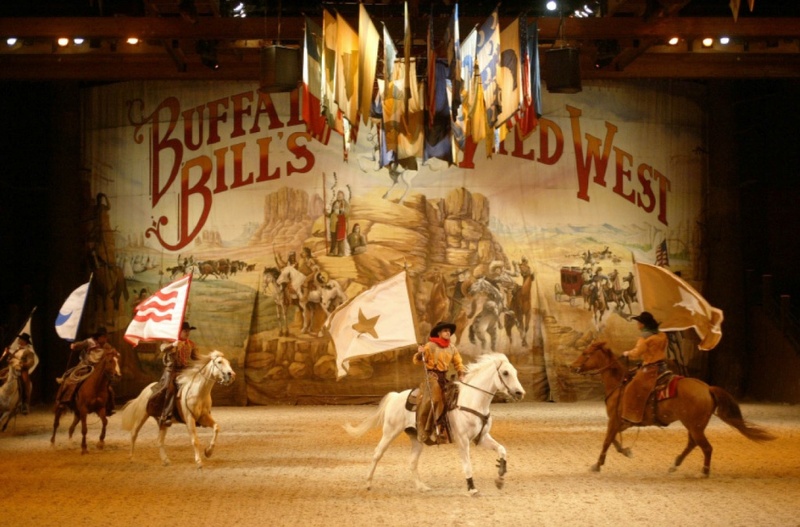 It is also the home of the famous Buffalo Bill Wild West Show. It’s a place where you can discover fun around the clock and even up in the air in an entertainment district that’s like no other. Starting at the Disney Park gates and staying open late, there’s something for everyone, with shopping, restaurants, dancing, shows, a cinema and more. There are live concerts at Billy Bob’s every evening, featuring pop-rock, blues, salsa and country music. The Village has it’s own Web Radio. No matter what time of day, visitors can listen to a host of music hits, past and present, music programmes and more. The Gaumont Cinema Complex features 15 screens with state-of-the-art sound technology, including Imax Laser, the ultimate cinema experience. PanoraMagique is a 6 minute hot air balloon ride offering unrivalled views over Disneyland Paris. The Sports Bar offers a range of big screens, showing the latest sports matches and events. The Stadium is a gaming arcade, featuring all the arcade classics, driving simulators, sports challenges, dance machines and more. 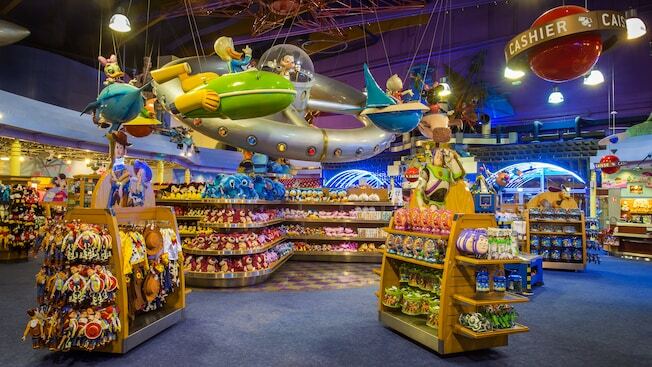 If shopping is your idea of magic, you can shop til you drop in the Disney Village. 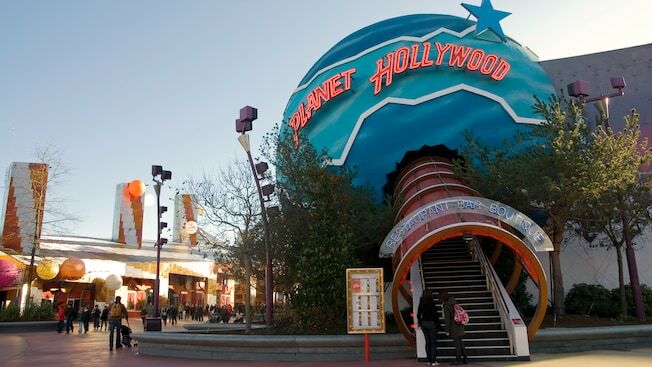 Boutique Planet Hollywood Step out of the ordinary and into this dazzling world inspired by the magic of cinema and television. Explore a wonderful collection of authentic costumes, movie prop replicas and toys from dozens of your favourite Disney films. 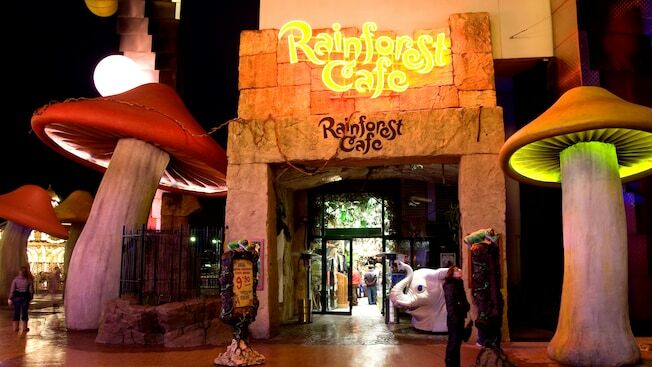 Boutique Rainforest Cafe Capture the magic and memories of your adventures in the Amazonian areas of Disneyland with this collection of adorable stuffed animals, great costumes and other tropical treats. 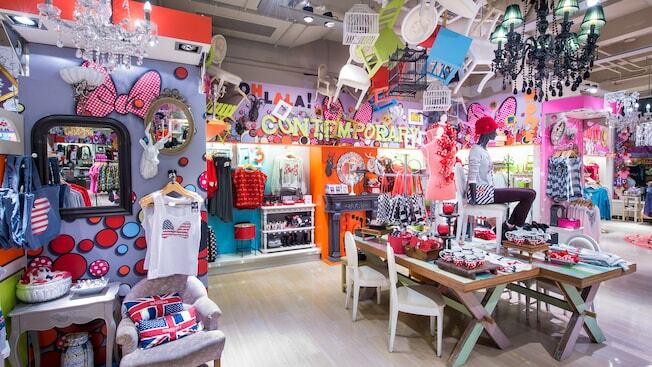 Disney Fashion This trendy fashion store in Disney Village is the unmissable place-to-be for everyone looking for the latest Disney clothes, jewellery and accessories! The store features exclusive lines created by the latest, most fashionable designers. 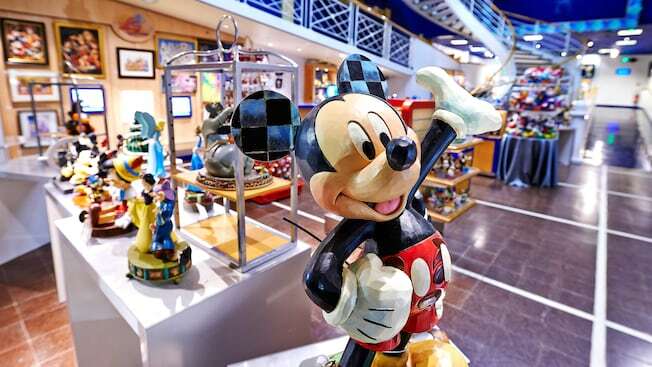 The Disney Gallery A veritable paradise for artwork collectors! This store features not only Disney artwork, collectables and exclusive designer soft toys, but also Art on Demand, a unique opportunity to create your own Disney work of art, with a wave of a magic wand! The Disney Store Here you’ll find the whole Disney universe in a single store! Discover all the famous Disney franchises, from soft toys to tableware and accessories. Become an apprentice Jedi at the special Star Wars saga area and create your own lightsaber! And don’t miss out on the gourmet area featuring sweets and Mickey and Minnie kitchen utensils. 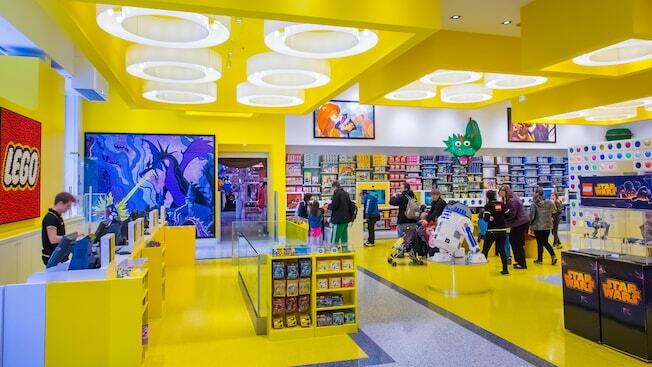 LEGO Store Discover the world of Disney’s in LEGO form, ready to reconstruct your favourite scenes at home or create new adventures made from your wildest dreams. A massive selection of sets and individual figures. World of Disney This is a a truly magical shopping environment, where only the finest and most famous Disney fashions, furniture, costumes, jewellery, toys and collectables are on display. 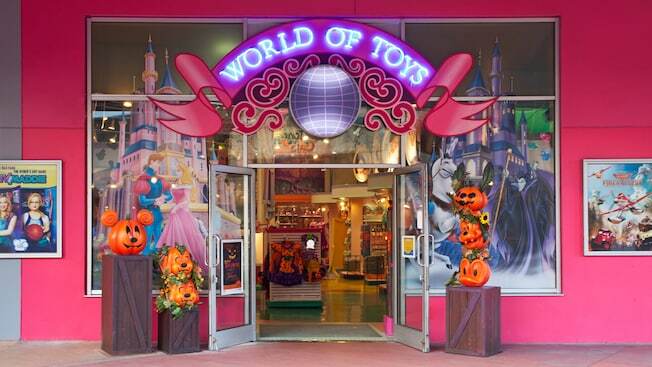 World of Toys This for all you princesses, Peter Pans, fairies and other young adventurers out there! There are literally hundreds of toys in store, together with beautiful costumes, princess dresses and exciting accessories-all in a glittering setting. Saddle up and witness how the West was won in this spectacular, gun-slinging live arena show. Hosted by the legendary Buffalo Bill, famous faces, such as Chief Sitting Bull, Annie Oakley and the Rough Riders, re-enact fabled moments from the frontier through stunning shootouts and sensational stunts. Plus there are special appearances by Mickey and Friends to help cheer on the action. Experience some homely Western fare, featuring camp cornbread, cattleman’s chilli, Texan skillet, old-style potato wedges and warm apple dessert with vanilla ice cream washed down with water, tea, coffee or coca-cola.